We all have heard about Mykonos, Santorini and other such places to visit in Greece. All with wonderful beaches and something special alluring tourists across the globe. But how about more remote islands, some that aren’t so popular – and, maybe, thus less crowded? Greece has several such “unknown” islands that could become a really wonderful alternative to famous ones tourism wise. If you want to go somewhere you can have access to sandy beaches and olives, plus some chestnuts and oaks forests, then this is a perfect destination for you. The island also has numerous fresh water springs, rivers, and small lakes where swimming is allowed. An enchanting place reachable by ferry or by airplane. Let yourself be conquered from the first moment you arrive here, as MonemvasÍa means “single entrance” and you can only get inside it through a stone archway at the foot of a fortress. This is a very small island – it was part of the continent, but it split from the mainland during an earthquake in A.D. 375. – as it is only approximately 1.5 kilometers long. Numerous ins await for you here – the locals are friendly and always enchanted to receive guests (about 10 months per year they are open to public). Beware though that once entering this part of Greece you will find yourself suspended in time, in an era of old houses and tales of ancient times. Are you a fan of places where you can find ruins of ancient temples, for instance? Gortyn invites you to discover such ancient ruins, even with a Temple of the Egyptian gods. Yes, a pretty interesting relic from the past – you will also see here an underground Nilometer. A Byzantine church and olive trees also await for you on this island – relatively close to Iraklion (reachable by car). An interesting fact worth mentioning from the beginning is that The European Community has declared Alonissos one of the six “ECO Islands” of Europe. The island is home to National Marine Park of the Sporades and to the endangered monk seal. The spectacular wildlife along with some “traditional” Greek sights will enchant every visitor. Attention though: some of the houses are “old style” and don’t offer all the conditions the tourists are used to (not all rentals have electricity!). 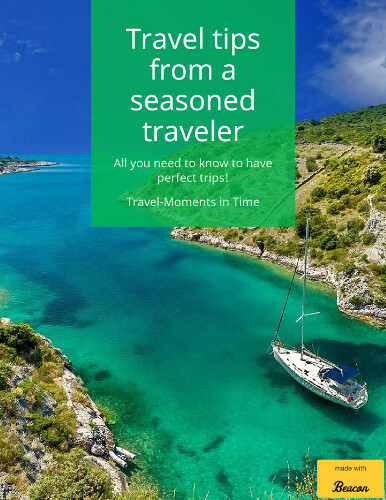 Last, but not least, on this list is Ikaria, included for the specific time schedule it offers. Yes, you could have the feeling you are entering a different world: shops open from midday until early hours of the morning with people buying things and leaving money near the cash register as shopkeeper is not present. This part of Greece is also famous for the parties in honour of the patron Saint. At these parties, people eat and drink until the morning in the village square. Yes, a different lifestyle, perfect for those looking a place to relax! But when planning holidays to Greece, keep in mind that you can also do a number of activities to keep yourself in shape – and healthy! Check the infographic below, made by Nielson, to see how many things to do are there in Greece. this way you are able to ease your financial predicament and get back your money to make only the bigger payments on your mortgage later. The nation’s Weather Service reports the area has over 6 inches of rain since Saturday. trở thành một trong những phương pháp được nhiều người lựa chọn để thay đổi những khiếm khuyết đó. cách thức sau đây để cải thiện tình trạng đó. hoạt động dày đặc nên quỹ thời gian để nghỉ ngơi lẫn làm đẹp khá hiếm hoi. đổi những khiếm khuyết đó. luôn tươi trẻ và căng tràn sức sống. khắc phục nhược điểm đó, giúp bản thân xinh xắn hơn. bận rộn với lịch trình việc làm, hoạt động dày đặc nên quỹ thời gian để thư giãn lẫn làm đẹp khá hiếm hoi. a shout out from Porter Tx! Just wanted to say keep up the great job!